The Wholesale Billing experience in QuickBooks® Online Accountant (QBOA) has had a complete makeover. You told us your wholesale bills were confusing and the Your Account page took too long to load. We listened, acted, and are pleased to present a two-part upgrade. In the next few months, QBOA users will be moved to a new billing platform and a redesigned Your Account page. Here are the details. In a nutshell: The Redesigned Your Account page features a new layout and performance improvements. It also has a new naming convention: Wholesale Billing is now called Your Subscriptions. Tabs at the top allow you to easily access and update your subscription, billing, and personal information. You no longer have to scroll down one long page to find what you need. For our larger firms, you can move up to 50 clients in or out of Your Subscriptions at one time. This will be much faster than the old experience where you had to move clients out of your subscriptions one by one. In the past, when you moved clients out of your subscriptions, you had to wait for the process to complete before you could get back to work. Now, updates are made in the background and in-product messaging will help keep you apprised of progress. No more pending status! When you move a client in or out of your subscriptions, it takes effect immediately. 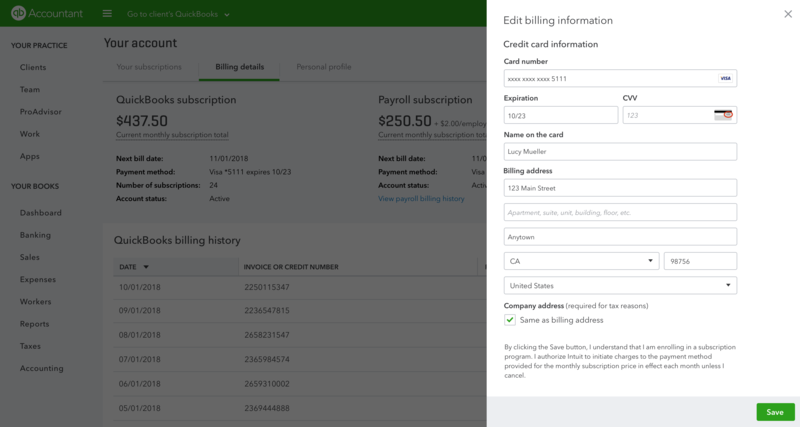 In a nutshell: The updated Billing Details page now provides a high-level snapshot of your QuickBooks Online and Payroll subscription charges, and a monthly breakout of your QuickBooks Online charges. 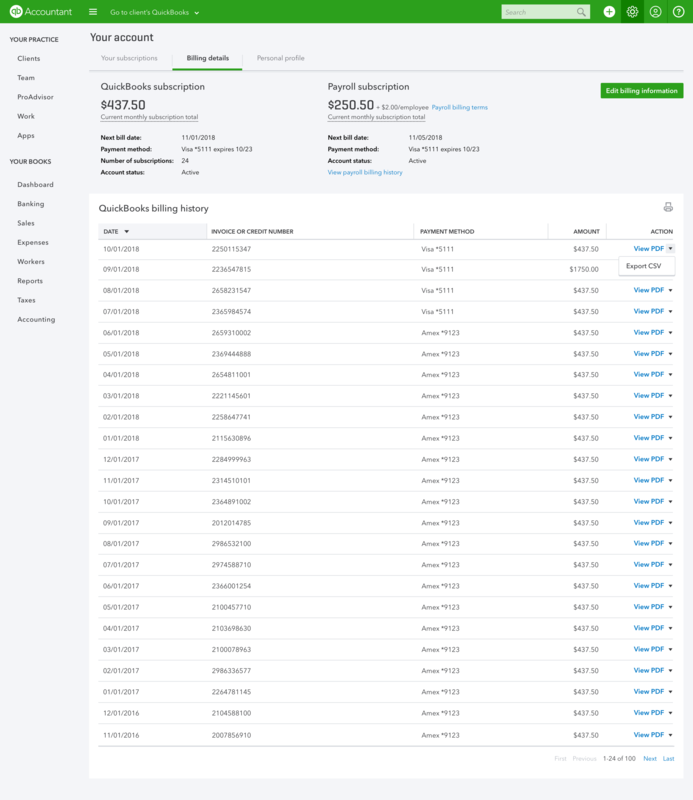 At a glance, see your total number of subscriptions and amount due for the month for QuickBooks Online and Payroll. Just below, in the QuickBooks billing history section, review your QuickBooks Online monthly charges including payment method and amount. If you would like to review your monthly charges in detail, click on View PDF or Export CSV to get an itemized invoice. Click on View Payroll Billing History to access your monthly Payroll charges. Note, Payroll has not yet moved to the new billing platform, but it will in the future. To update your payment information, simply click on Edit Billing Information. 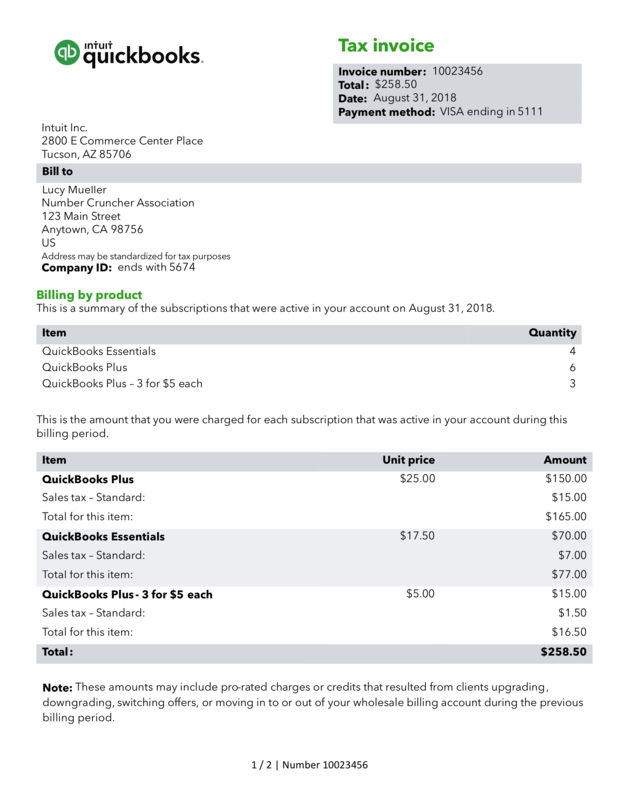 In a nutshell: New and improved QuickBooks Online invoices have a clean and simple layout. With the new itemized invoices, you will be able to easily understand your monthly subscription charges and how they flow into each client relationship. When does all this take place? Soon! Migration to the new billing platform will happen in waves from September through the end of November. When you receive an email notice, you can expect to see the new Your Account page and billing experience on your next billing date. For example, if you get an email notice the last week of September, you’ll see the change on your billing day of the month in October. But, if you don’t see the new Your Account page as expected, don’t despair! 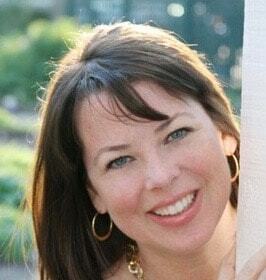 There may be situations, as with any new rollout, that delay your conversion. Just hang on until the next month and you should see it then. It is anticipated that everyone will be on the new platform by December. To provide you with the big picture, QBOA is the first product to move to the new billing platform. In the coming few years, other Intuit® products integrated with QBOA will move to the new billing platform. For example, QuickBooks Online is next in line to move to new billing platform early next year. 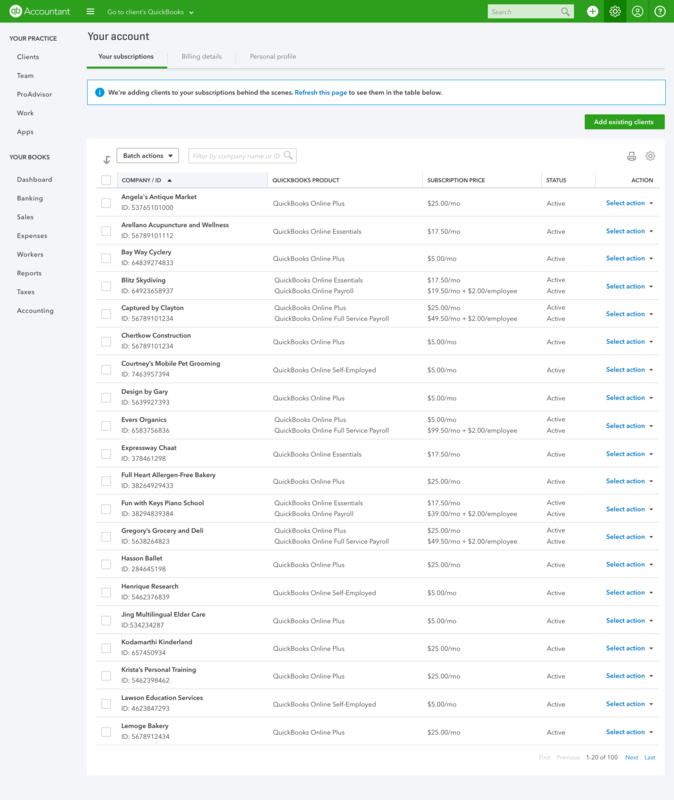 Eventually, you will have one, unified bill for all your QuickBooks Online products and services, making it easier to do business with Intuit.